Full article available via Stuck in traffic: How helpful is the trafficking framework? | The COMPAS Blog. – Online community for “any refugee or former refugee who has resettled in a third country… .” Free, but requires invitation to join; find out how via the info link. 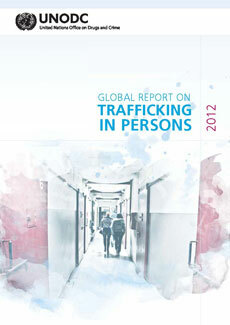 The 2012 Global Report on Human Trafficking was released this week by the UN Office on Drugs and Crime (UNODC). As part of the Global Plan of Action to Combat Human Trafficking, the UN General Assembly mandated that the UNODC “collect information and report biennially, starting in 2012, on patterns and flows of trafficking in persons at the national, regional and international levels in a balanced, reliable and comprehensive manner, in close cooperation and collaboration with Member States, and share best practices and lessons learned from various initiatives and mechanisms” (see para. 60). This is the first issue of the global report under the UNGA mandate; an earlier 2009 report with the same title was produced within the framework of the UN.GIFT initiative. Borderline Justice: the fight for refugee and migrant rights. A new book written by Liz Fekete, vice-chair of the Institute of Race Relations. The book will be published by Pluto Press and their is a launch event for this work which is due to take place on Monday 22 October. Further details can be found on the Institute of Race Relations website [here] and please also Download an invite (pdf file, 144kb). Frances Webber, a legal practitioner with over 30 years experience, provides a unique insight into how the law has been applied to migrants, refugees and other ‘unpopular minorities’. The book records some of the key legal struggles of the past thirty years which have sought to preserve values of universality in human rights – and the importance of continuing to fight for those values, inside and outside the courtroom. With its combination of legal and political analysis with insider insights, Borderline Justice will appeal to both academic and non-academic audiences. The themes and analysis cross boundaries of law, politics, sociology, criminology, refugee studies and terrorism studies, appealing to the radical tradition in all these disciplines. (Source: Institute of Race Relations). PICUM Quarterly Newsletter, April-June 2012. Produced by The PICUM Secretariat. August 2011 to 31 July 2012. Produced by the Council of Europe Group of Experts on Action against Trafficking in Human Beings, (GRETA). A STUDY OF THE ENGLISH DEFENCE LEAGUE: What draws people of faith to right-wing organisations and what effects does the EDL have on community cohesion and interfaith relations? By H.S. Lane for Faith matters. A new report produced by The Children’s Society. Overseas Students and Net Migration: Fourth Report of Session 2012–13 : Report, together with formal minutes, oral and written evidence. New Report by the House of Commons Business, Innovation and Skills Committee. Article published in the Humanitarian Exchange Magazine Issue 51, (July 2011). Homelessness kills: An analysis of the mortality of homeless people in early twenty-first century England. Congressional Research Service (via Federation of American Scientists). Reducing Vulnerability and Promoting the Self- Employment of Roma in Eastern Europe Through Financial Inclusion. Report by the World Bank. The Slovak Spectator – World Bank: Only one in five Roma in Slovakia has a job. The World Bank – New World Bank Report Calls for Financial Inclusion of Roma in Eastern Europe through a Comprehensive, Incremental Approach. The World Bank – Self-Employment through Social Microcredit: A Way Forward for Roma’s Financial Inclusion in Eastern Europe.